Trebor Scholz is a writer, catalyst, and professor for Culture and Media at The New School in New York City. Scholz’ interests are located at the intersection of digital labour, global media activism, and digital learning, positioned to analyze the limitations and potentialities of emerging digital media. He teaches courses in the area of Internet and Society. Trevor Scholz recently co-authored From Mobile Playgrounds to Sweatshop City (with Laura Y. Liu, 2011). Book chapters include ‘Facebook as Playground and Factory’ and ‘Cheaper by the Dozen. An Introduction to Crowdsourcing’. 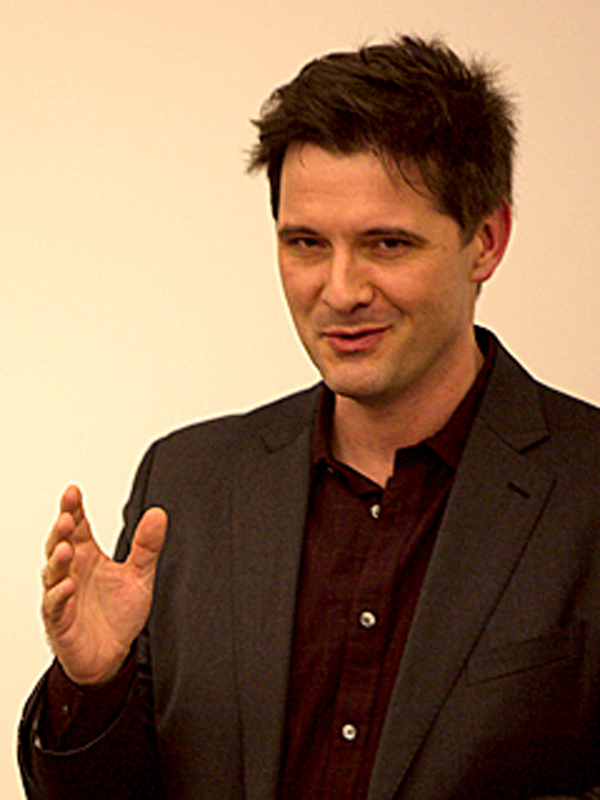 He is the editor of two collections of essays, Learning Through Digital Media (2011) and Digital Labor (2013), and co-edited nine books in the Situated Technologies series. Scholz holds a grant from the John D. & Catherine T. MacArthur Foundation and chaired seven major conferences, including ‘The Internet as Playground and Factory‘ and ‘MobilityShifts‘. digital labor towards a monograph offering a history of the Social Web and its Orwellian economies, ultimately published under the title Uberworked and Underpaid: How Workers Are Disrupting the Digital Economy (2017).